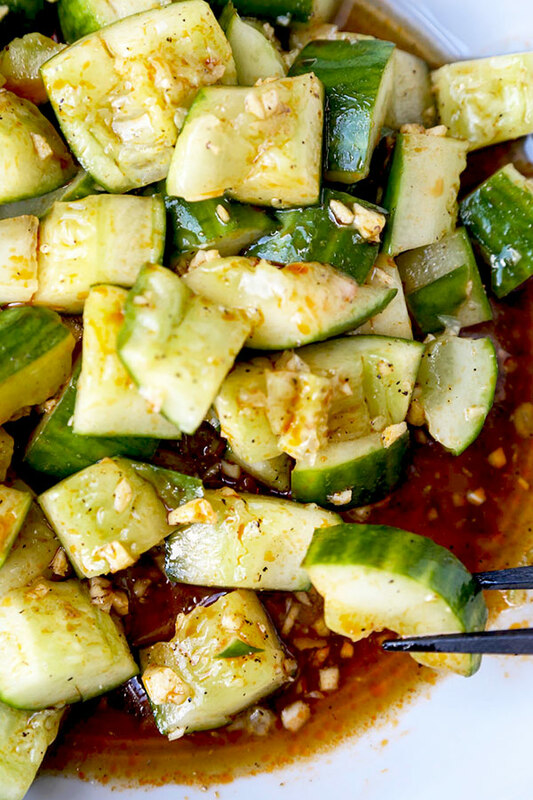 This Smacked Cucumber With Chili Oil Recipe is a fun excuse to play with your food. Bonus: these hot chili oil infused Sichuan pickles are delicious! Gosh… I never thought I’d get such a kick out of smashing a weighty chef’s knife into a vegetable. But there I was at the kitchen island, giggling and going for broke. You see, the term smacked cucumber isn’t a euphemism. 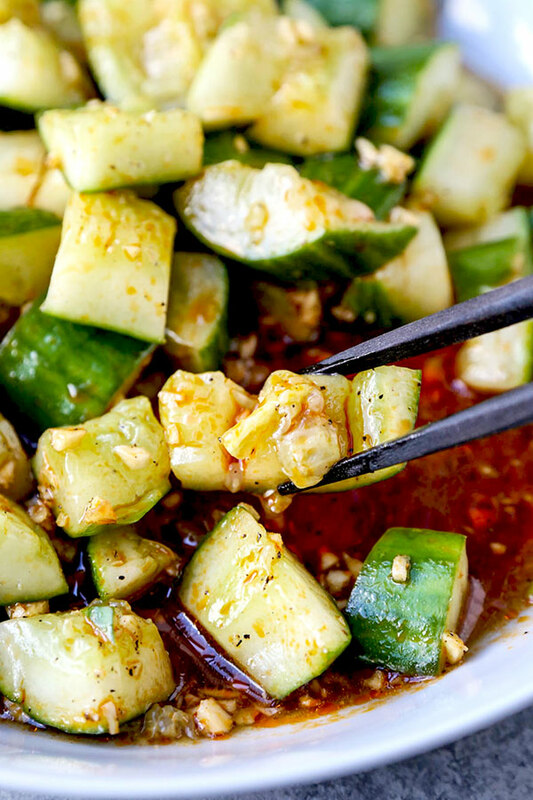 You really break the cucumber for this Chinese pickled cucumber recipe. 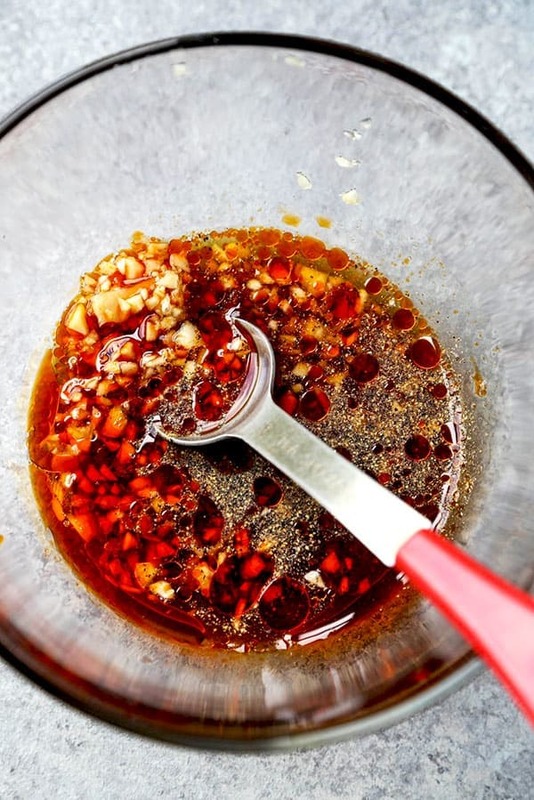 That way, the delicious marinade loaded with hot chili oil gets a chance to impart a ton of flavor into those nooks and crannies in a relatively short amount of time. 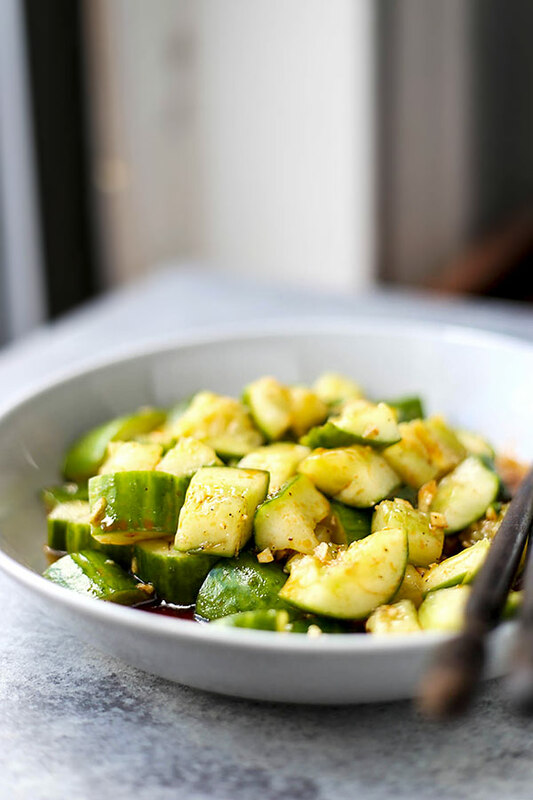 And, aside from the fun of getting a little aggressive with food, this Smacked Cucumber with chili oil recipe just happens to be one of my favorite Chinese side dishes! The key is to find a balance with the smack. You don’t want to obliterate the cucumber to pulpy bits. 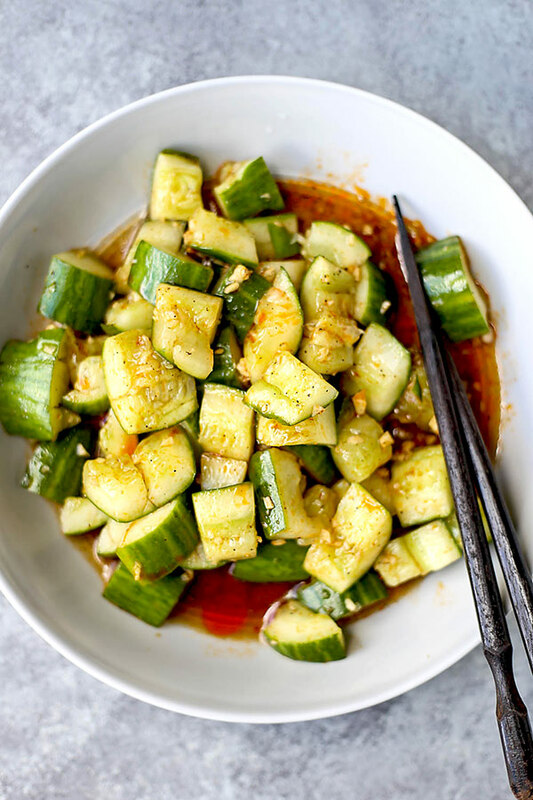 And under doing it on the smashing front will just mean you’ll need to need to salt-marinate the cucumber bits for this Sichuan cucumber salad for longer. The pics in this post should give you a pretty good idea on how far to go with the whole destructive element. 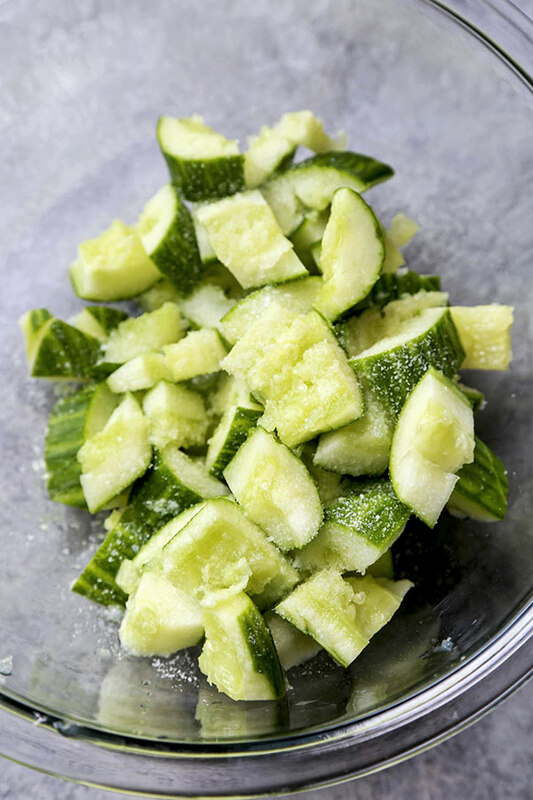 If you’re still on the fence about how far to go when making your own smacked cucumber recipe at home, it’s probably best to stick with the less-is-more attitude and just marinate with salt longer. Chili Oil – A little dab’ll do ya! 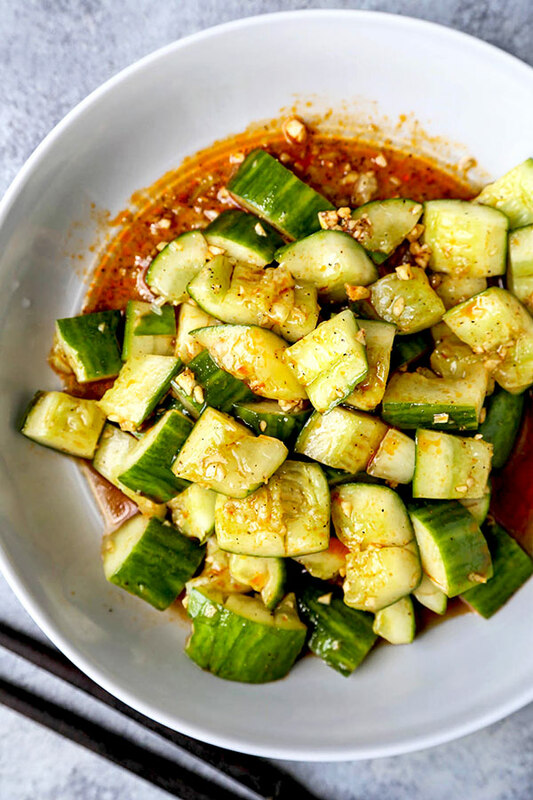 The difference between this smacked cucumber recipe and other cucumber side dishes (like this quick cucumber pickles recipe) is the use of Chinese chili oil and soy sauce. When it comes to chili oil, a little goes a long way. It brings the spice for sure! Soy sauce lends an undercurrent of saltiness and umami that play so well with spicy chili oil and the bright rice vinegar. And… oooh, minced garlic is a MUST! Some people (like Ben) like adding ground Sichuan peppercorns to this smacked cucumber recipe to really up the spice quotient. I prefer to leave them out – as they have a tongue numbing effect and can really overpower a dish. But if spice is your thing, go for it! Since we’ve been eating more plant based meals at our place, these smacked cucumbers with chili oil have been making regular appearances at the dinner table. Like at least once a week! But, these delicious hot chili oil loaded Chinese pickles would go well with meat dishes as well. They also make a guilt-free late night snack. Or, heck, make a bowl of plain Japanese rice and turn these pickles into the star of your meal. Careful with the knife! Don’t cut yourself when smacking the blade. Most important: keep the blade flat! What about you? Is there a side dish you make all the time at your place? I’d love to hear about it in the comments section below! 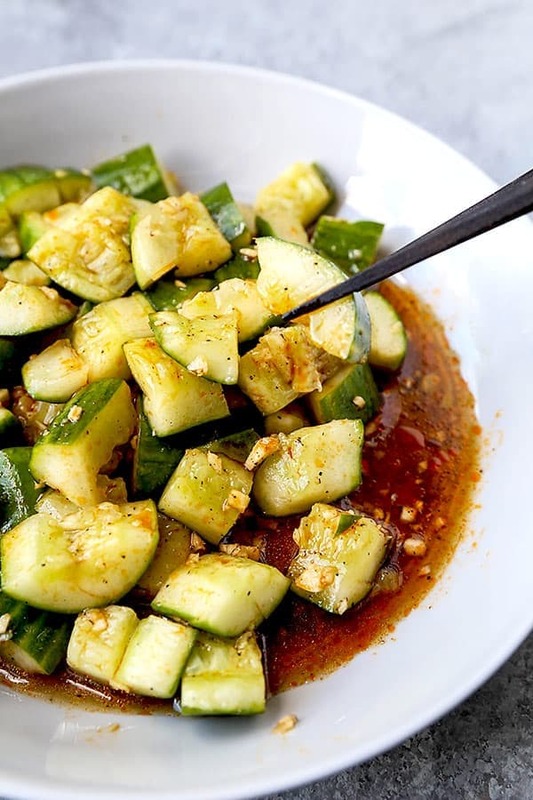 Did you like this Smacked Cucumber With Chili Oil Recipe? Are there changes you made that you would like to share? Share your tips and recommendations in the comments section below! Put cucumber on a cutting board and place a chef's knife, flat, on top. 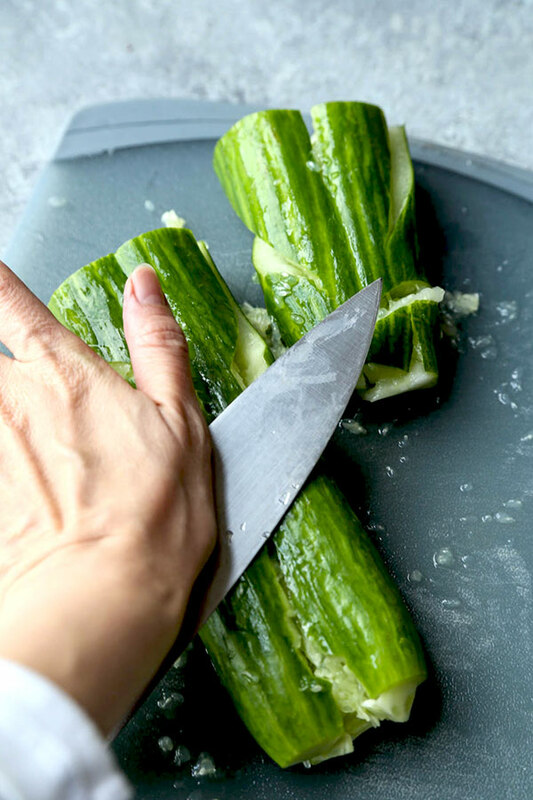 Using the palm of your hand, smack the knife until the cucumber splits and breaks. Chop into bite size piece and transfer to a bowl. Sprinkle salt on top, toss and set aside for 30 minutes. Meanwhile make the chili oil by whisking the remaining ingredients in a bowl. Set aside. Drain the cucumber pieces and pat dry. Return to the bowl and top with chili oil. Serve. The post Smacked Cucumber with Chili Oil appeared first on Pickled Plum Food And Drinks.